The No. 64 Corvette C7R takes the GTE Pro win at the 2015 24 Hours of Le Mans. 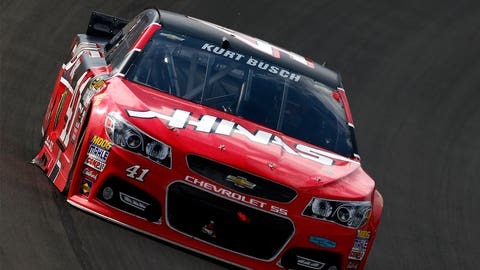 Chevrolet had a banner last weekend, winning big races in NASCAR, IndyCar and the NHRA. But according to the automaker’s racing boss, in a weekend full of victories, the one that stood out the most came in the 24 Hours of Le Mans. In the fabled French endurance race, Oliver Gavin, Tommy Milner and Jordan Taylor drove the No. 64 Corvette C7.R to victory in the GTE Pro category, the eighth class victory for Chevrolet. 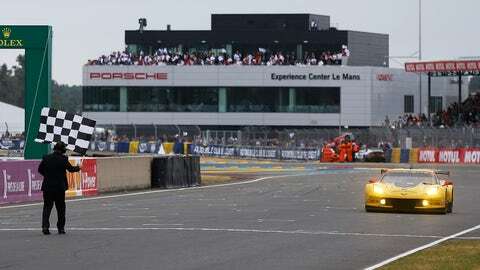 According to Jim Campbell, Chevrolet’s U.S. vice president, performance vehicles and motorsports, what set Le Mans apart from the other victories is that the Corvette team won despite having to withdraw one of its two cars before the race. “They’re all special. They’re all important. And the teams and drivers that delivered those victories are great partners, so I value every one of those wins,” said Campbell in an exclusive interview with FOXSports.com. “The one that I think was unique was the 24 Hours of Le Mans. That was our 16th attempt to win the GTE Pro Category. In every year of the prior 15 years, we’ve always had two cars entered. A couple of days before the race, in a practice session before qualifying, the No 63 Corvette, which was one of the two C7.R’s we were competing with, had a mechanical issue and the car got into the Porsche Curves hard at one point. It hit one wall on the right-hand side and then ricocheted and hit the other wall pretty hard. With one of two team cars out before the race even started, that obviously cut the team’s chances of winning in half.